These days, Chinese fast food restaurants can be found in almost everywhere. With the exotic menus and new tastes offered, many have fallen in love with what these restaurants have to offer. However, what many people need to understand is that although there are indeed some healthy Chinese food options on the menus at these restaurants, there are also likely to be some food choices that are as bad for you as what you can find at other American fast food restaurants. So for those of you wanting to avoid the French fries or other American junk food by going to the Chinese restaurants for some healthy Chinese food options, you just need to be aware that some menu items may actually not be all that healthy. To help you make right choices, here is a list of some of healthy and unhealthy Chinese menu items you should know about. 2. Spare Ribs. Well, to have fatty pork ribs with sauce surely isn’t highly recommended as healthy food. 3. Crispy. We all know how to make crispy foods; it is by deep frying. And it should be avoided by anyone who wants to maintain their body shape. That means crispy foods aren’t included as a healthy Chinese food option. 4. Fried Rice. White rice has already bad enough for a healthy diet and fried rice is worse. Fried rice will give you nothing but extra fat and calories, especially when it added with fatty pork and sodium which makes it a really bad choice. 1. Dim Sum. Many love the steamed Dim Sum not only because of its good taste, but also due to the fact that it has less of calories and fat contained. It also available in various fillings to meet our specific taste, including chicken. Some restaurants also offer fried Dim Sum, but obviously, that isn’t as healthy. 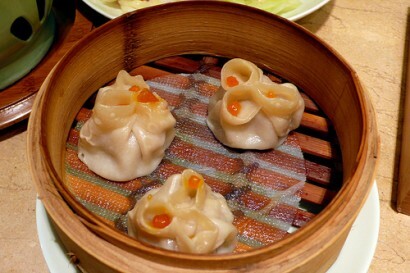 Go for steamed Dim Sum. 2. Chinese Vegetables. People should know that Chinese restaurants are a great place to enjoy various healthy vegetables, such as beans, cabbages, eggplant, bean sprouts, and more. 3. Steamed menu. Ask them about steamed menu and you’ll find many options of it to choose. Choosing the steamed instead of the fried one is the key to enjoying more Chinese foods without ruining your diet plan, whether you’re trying to lose weight or just eat healthier. 4. Soup. Having a good diet with soup is often recommended by experts, so don’t forget to check out the soups on the menus! Also, if you have a problem with monosodium glutamate, you probably are already aware that it’s a common ingredient at Chinese restaurants. Considering all this, eating out at Chinese restaurants probably shouldn’t be an everyday part of your healthy diet though when you do go, you can now make better choices. 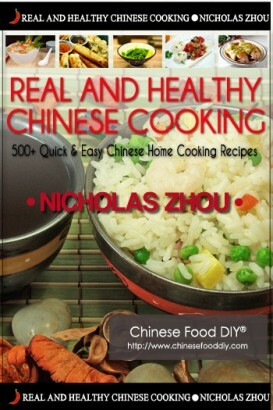 However, for the best foods possible, consider preparing your own Chinese meals at home. They’re delicious and you know what ingredients are in the food you’re eating. Then you know you’ve got the most healthy Chinese food options available!